Kryon explains this far better than I can so I have extracted two excerpts for your review. Trying to explain multidimensionality with linear words sometimes just turns what I am trying to say into more linear BS. Originals can be found at Kryon.com; click to any page after home and go down to the bottom right and click on audios to find the free mp3s delineated by year. It started early. And what was taught was based around a shape. And from children to adults the shape remained the same. It was complex because what was within the shape, was then evolved. Let me explain. First and most complex, the shape. A wheel, a circle with spokes to the center. The spokes to the center were numbered 5. 5 spokes to the center around the wheel. My partner go slow. I’m going to give these thing to you, You’ve never heard them before. And I’m going to give you visualizations that you will then enhance upon, using also the Akasha of the 2 who sit next to you. Yet how this looked, what happened and how it felt like. The teacher, the Lemurian teacher who was Pleiadian always would not be at the center. Would always walk around the circle when teaching. So there never was an exhaulted place. It started with the children. If you were a Lemurian and so many of you were, you got this as a child. The circle had a name, but let me explain first, why 5? The name and the number go together. And it’s not numerology. This is long before, way before numerology. The human beings saw the energies of the numbers and developed systems. This was raw. It was 5. 5 spokes to the center. The wheel had a name. Seeking Balance was the name of the wheel. And they called it a wheel, although it was then put before them on the ground for them to study. Circle on the ground. With 5 spokes from that which circled it to the center. Why 5? Dear Ones, 5 is not that which you’d expect. Almost everything in nature is balanced with pairs. The push pull energy of the galaxy. The yin and the yang. The light and the dark. The laws of physics. The strong and the weak. Everything is paired up but not 5. 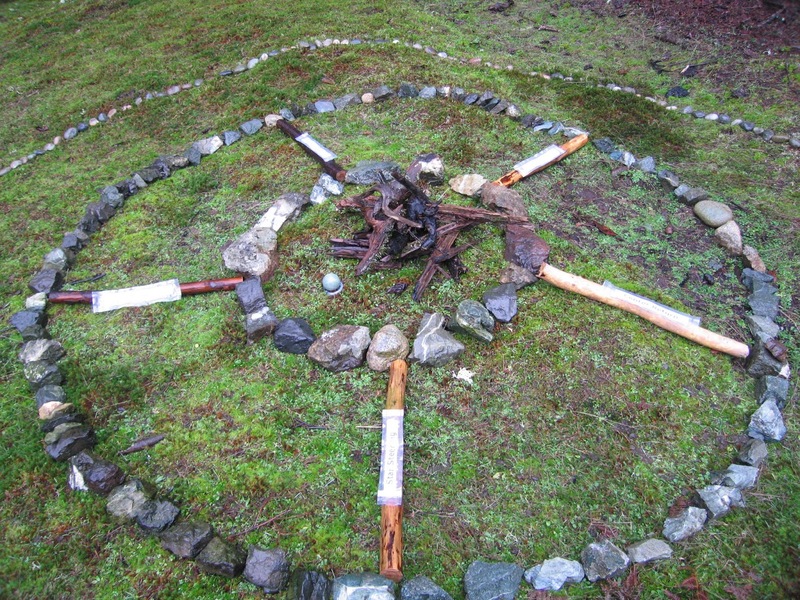 Seeking Balance was the subject of this sacred wheel. And the spokes all had names and they would be explained to the children, to the adults; Why 5? And now we get into what the Pleiadians wanted humanity to understand and know from the beginning. Magnetic fields. This won’t take long, don’t check out if you don’t like science. The basics of magnetics at the very prime information; super simple. Physicists forgive me for this. Super simple. An atom which has too many electrons versus an atom that doesn’t have enough, creates a plus and a minus pole as they try to connect with one another to balance themselves. This is a magnetic field. This is the bi-polarness of a magnet. The plus and the minus. We have told you since we started giving you physics that Magnetism is one of the only things in standard physics that begs to be changed. And that there are ways the relationship between these parts; these atoms with too many and these atoms with too few. If you can figure out how to manipulate the many to the few and the few to the many, you change the relationship to the parts; you manipulate the balance of physics and you can do anything. 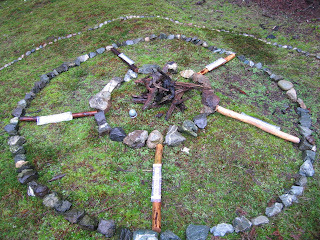 This wheel is 5, for it begs for balance even within the shape of the teaching of the wheel. Five. It creates 6 spaces 5 spokes create 6 spaces. Even before the numerology the 6 was known. That’s a balance number. The teacher, always one that was the Star Mother, beautiful, lovely to behold for it was always in benevolence and compassion. The children loved the Mothers. Now we’re going to give you some information that we didn’t give you before. It’s not that important. It’s just that we want you to visualize this for yourself, and perhaps even remember what the wheel might have looked like. The circle on the ground, in 2 dimensions. What it really might have looked like. Then slowly we are going to count the spaces. The wheel part, the circle part was thick, fat. It represented one third of the distance from the outer to the fulcrum, the middle, one third. The spokes, 5 of them represented one third to the middle. And the hub was the remaining third. Now if you draw this you will see that the hub really was quite large. So anything that was put in the middle of it would have been quite small compared to the space in the hub. For those of you that took the time to draw a circle and put 5 spokes on it, the last channel I gave may have seemed puzzling. You see there is only 5 spaces between the spokes. Let’s talk about the sixth space. Not before we remind you of the sacred geometry, but those of you that understand this will see. You’re used to geometry being in straight lines. The 5 spaces if you color them in represent a very, very strange kind of triangle. You see the bottom of the triangle is curved. You have 5 triangles that are unusual because the bottom of them is not a straight line. The definition of any curve is an infinite number of straight lines. There is a message even within the spaces shape, 5 of them. Where is the 6th space? The answer is the hub. That’s number 6. Now to a child learning it they’d never see that. They’re not taught that. The women are taught that. When the gender teaching has split the girls began to study the spaces and they begin to be identified. That which is invisible, as I’ve said before, that which is difficult to understand. The reason the women get it is because they are going to need it to teach the sacredness they are going to hold of advancement of a relationship to the center hub. Even the children are taught the center is god. The great Central Sun is God. And the great circle; that place around it, is life. It’s their life. And from the beginning they see something. First of all it touches all the spokes and all the spokes touch the middle. They also see that there is not beginning or ending of life. Therefore no matter how long they study it they always see the same thing. It never ends. Eventually teaching of that even which is just the circumference, even that which is of life, is so sacred and it says this, no beginning, no end to the essence of you. I want to talk again about yet again, the 6th space, the hub. The hub is beginning to show itself. Those spokes they go both ways. And again you have a teaching. There is no directionality on any of the spokes. You see there is no proprietariness, they all connect to the center and the center connects to the outside. Remove one and the system is weak. So the hub is not the end-all. The hub is not the power center it is simply the center. The teaching tool that was brought to earth by the Pleiadian Star Mothers was called the Seeking Balance Wheel. It is a simple geometric wheel whose title and purpose evolves during the lifelong educational process of demonstrating the truth of who you are as a Divine Creator. It is used for all age levels of education. Toy wheels are used by youngsters under the age of seven. They can hardly wait for their ritual when they can be taught by the very tall Star Mothers. Boys and girls are taught together between the ages of 7 and 13. Then, as menses usually start at age 13, the boys and girls are taught separately, as their roles in life differ. This is another ceremony. Up until this time the education has been primarily physical. The teaching for the girls now intensifies as they learn about the invisible spaces of life between the spokes. They learn their direct connection to Source. The boys now learn their direct connection to Gaia. The girls become spiritual leaders and reveal their highly respected shamanism. The men look after the earth and protect their families. Everyone learns the truth of who they are as Divine Creators. There is no gender in the god realm. When the 7 year olds enter the wheel with their mothers, they are excitedly suggesting what they think each spoke represents. They end up calling the center of the wheel the central sun. Soon it is nicknamed the Great Central Sun and the children adorn it with flowers, or fruit or at night it is decorated with a fire or flames of some kind. It’s the center of all learning. It is the center of all truth. One of the spokes was called Center Return. The children got it right away. They said, “Well, this is our Pleiadian Mother from the stars. There has to be a place where we go when we’re finished here”. You see the idea of the essence of a soul was right there with them. And they all said, “Yes. When we’re done here we return to the center, the Great Central Sun; where all things emanate from, the center, the beautiful center”. They were being introduced to reincarnation as ordinary and that there is no such thing as death. They memorized Center Return. All the spokes come and go from this, the center. The second spoke was studied, Star Steering. The children were very excited about this too. They knew the Pleiadians came from the stars. And in order to get here they had to steer their way somehow. And they said this is going to be a spoke that eventually we’re going to be taught how to steer among the stars. “We can do what the mothers have done. Yes, We get it, We get that, Star Steering”. Number 3 is Child life. What could that mean, Child Life? The children said, “This is name of the spoke given today, It’ll change tomorrow when we’re older. This is for us, we’re children. It’s the life that we have as a child. We’re going to be taught how that works”. Child Life. In reality this is the spoke of long life. Number 4 Human God, They memorized these names. This was the first time they said, “There has to be a prophet, there has to be someone, something that is going to happen; a human becomes God. This is going to be for the future. We don’t understand it yet”. The Mirror is the last spoke. Simple but not so simple! Can you see god reflected in another person. The Mirror, 5 spokes, odd names, memorized by the children. Then it started. Slowly, methodically, simply and with elegance the Mothers would start teaching what the spokes really were. And the childlike ideas were enhanced slowly. Every session and every year got a little harder. The children got the idea only in the third year that the spokes worked both ways; center to the outside, outside to the center. I, as an old soul, feel personally responsible for implementing a change in how our genders honor each other. Perhaps we can return to a new naturalness in our present day cultures. In these early days all the decisions that were important were women’s business. Women were expected to connect with Source and bring forth viable options and did so. The men may have still been active in “politics” but they relied on the Source connection of the women for direction. As we continue, society in general will start to see the balance and wisdom that is missing today. They will see the beauty of each person shining forth and know that their speaking out should be honored, especially if they are female. This is a new level of incredible balance and wisdom coming to both men and women. The Star Mothers taught this way before it became the gender issue that it is today. There are several reasons why now is the time to look at each gender differently. Humanity is changing and the time is ripe for it, literally the energy field of the planet is starting to create it. A second reason is that remembrance is needed and necessary for society. It’s being done in other places, why not here? It is time we cleared the way to our Akasha and cleaned out whatever we have buried it under, from our prior lifetimes. 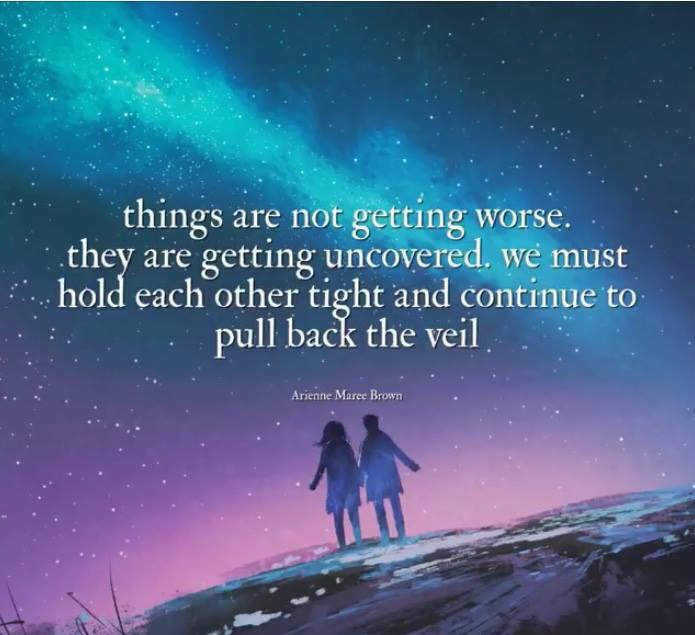 And there is a literal shift of energy happening, of the masculine and feminine energy that is allowing society to see things in a way they’ve never been able to before. Speaking out with compassion is becoming normal. I insist on normalcy. People are looking for ways to speak out the truth, that is bubbling up from inside them that makes total sense to them. Notice the silence that happens when people realize a truth. Imagine, the time when people will expect to see a woman stand up and be the leader of a group. We are starting to see this spiritual growth in places all over the planet. Society in general is starting to see the balance and wisdom that they never did before. Women will be honored. They’re the soft one. The one who knows about life. The one who’s given birth. The one who is connected first in a gentle way with the Creative Source. It makes total and complete sense. Trying to explain multidimensionality with linear words sometimes just turns what I am trying to say into more linear BS. Original mp3s can be found at Kryon.com; click to any page after home and go down to the bottom right and click on audios to find the free mp3s delineated by year. Are you ready to explore the greatest healing on Earth, the truth of who you are as a Divine Creator? During the zenith of Earth’s 26,000 year cycle, Gaia has had a magnetical shift firmly anchoring goodness into her crystalline grid. You and I are not-used-to-seeing-goodness-around-us, unless we, ourselves, have arranged for it to be there. We now are confronted with massive change. Perhaps we are growing new eyes to easily recognize our new surroundings. This may be an energetic exploration. You and I are, in effect, humanity experiencing spiritual unfoldment, consciously dragging the goodness of compassion into full view for ourselves and everyone to see and experience. 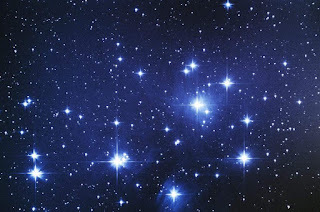 The origin of spiritual awareness and higher consciousness was delivered to the human experience on Earth by the Pleiadian Seven Sisters (our Star Mothers). They came to Earth in this grand experiment to establish a living Garden of Eden in Lemuria (now known as Hawaii) and began the consensual experiment for humanity to live as an awakened spiritual civilization. 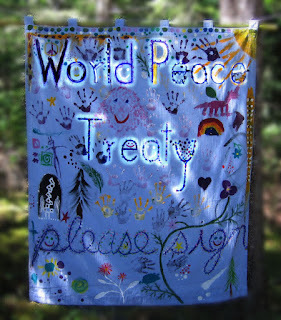 This opportunity was given in sacred trust to be nurtured and honored. The template was set in the remote Lemurian continent for the entire planet to one day exemplify spiritual consciousness. Lemuria was chosen because it was an isolated mountain forming a small continent in the Pacific Ocean. It was volcanically active in those days as well as today, and back then was the tallest mountain on earth, reaching 33,000 feet. There was a tectonic bubble that pushed the mountain up. Lemuria was a perfect place for the Star Mothers to anchor their education in consciousness without interference from other cultures. 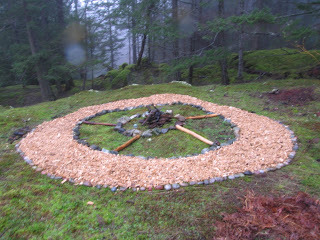 The Seeking Balance Wheel was the structure they used. The Star Mothers directed the human genetic code and activated it to create the shift from a merely physical human, with the survival systems of the physical body; to exemplify higher consciousness as a spiritually aware human. The genome was programed to be active or lie dormant for however long this might take. Human DNA was a friendly environment for this grand experiment and had been used on other planets with obvious success. After the genetic code was opened, changes and adjustments made, and the guidance system installed, humans now had a vehicle (merkaba) for the soul’s evolution that hadn’t been available before. During the original genetic encoding, each of the Pleiadian Star Mothers energetically took up residence along the human spine, where they placed the seven activation points. An energetic recreation of each Star Center continues to be imbedded in the crystalline grid of the human energy field. These points are concentrated along the spine at glandular, nerve and bony centers as place holders for specific vibrations. Each energy center builds on the previous one as the magic and mystery of spiritual awareness and expanded consciousness unfolds. Along this framework of spiritual consciousness, from its root upwards, is carried connections from its origins in the dirt of the Earth, to grounding in the benevolence of Gaia, to anchoring in the One Divine Source. Humanity sprang upwards from the earth, toward the sky like the Tree of Life, encoded with the potential to live as spiritual human beings. The Lemurian/Pleiadian experiment in awakened spiritual consciousness has been quietly waiting in the memory of humanity for eons. It is carried in the old soul’s Akashic Record, their internal crystalline grid and in their genetic code. Since the great shift of 12/21/2012, old souls have been resonating with the memories of past lives as realized beings, and searching to live as spiritually integrated humans once again. Now the key in the lock has turned and the miraculous journey of the human being with Divine Consciousness is ready to unfold! The Lemurian Codes for Healing are the foundation of a system for reawakening the Original Encoded Star Activations given as a sacred gift to humanity by the Pleiadians so long ago. The Codes have been placed energetically in 11 cards, with images and words, and are programmed to connect the physical points on the body where the information of the Star Template is stored waiting to evoke an Akashic memory. The information and images on the cards have been brought forth from the Akashic remembrance of Lemurian Priestess Mele’ha, Dr. Amber Wolf, and the visionary artist extraordinaire, Aurelian Pumayana Floret. From their own remembrances, these words and images appear together for the first time. The direction of Spirit brought together these two old souls, living in different cultures and countries, to be of service to humanity together. They have trusted the magic of synchronicity and Divine timing in this creation. It is their passion to assist in the reawakening of the Lemurian/Pleiadian consciousness of self-empowerment and the ability of spiritual humans to be self-balancing. and your sacred mission on Earth. Before you decided to come to earth, you were living in God energy (multidimensionality) and you knew you would be moving into a limited linear environment and subscribing to the mission to bring conscious, benevolent communication to this planet. You were aware that human beings didn’t contain this energy naturally within themselves and would have to choose it, to anchor it on this planet. You have been living in an environment where all you had to do was communicate your desires and they immediately manifested. No problem you thought. Sounds like fun! Birthing on earth means that not all of you will be able to fit in your tiny, baby body. Parts of you are going to have to stay behind where all this easiness is, to give you directions. Great. I’ll always know what to do, won’t I! Some of us started to do this before we had built our galaxy and helped it form, and watched earth grow from its molten mass into its beauty. This took a long time as we envisioned and started out with two suns, which made it easier to develop photosynthesis to stabilize energy. We managed to destroy ourselves 4 or 5 times by various means during this process. Plants and animals became part of earth’s population thanks to photosynthesis. A variety of “humans” was developed and were encouraged to become one particular kind of human being that would accommodate the DNA the Star Mothers had ready to place in them to further this grand experiment. More information on this in the Lemurian Codes explanation. So, you are finally ready to incarnate on earth. Parts of you are going to be on earth desiring to communicate with those missing parts of you that wouldn’t fit down here and are left on the other side of the “veil”. You are not allowed to fully see “the other side’ because you are here to learn to choose goodness. In order to connect with those missing parts of you, you bring your chariot, your merkaba, which is directly connected to multidimensionality and is a safe place for your guides and angels. They are here to show you the way back home, and you must learn to ask. They are not bossy. Asking is necessary. Your helpers are from the multidimensional God area and are happy to show you the way to consciousness. Consciousness has to be learned and experienced. It is not intuitive, unless you have developed your intuition. Earth is a conscious school. Effectively use your guides by getting clear on what you are looking for. This is not really a goal. This is a direction you are going in for the highest good of yourself and your very large family; humanity. Your guides can contact the parts of the people on the other side of the veil. You have a lot of help because everyone that is on earth has parts of themselves that are in multidimensionality and can see the big picture and guide humanity toward benevolence. There may be a lot of things that have to get rearranged to make this goodness happen but we are learning to trust the direction we are headed in, to show us the next people or next situation that can be experienced to make it happen. It may not always happen in the order or look like we think it should, as we are not used to change. We like to see where we are going (a goal) and not have it move or change. But change has to happen, light has to shine on all dark areas that have never seen the light of day, for goodness to happen. This is like accessing a big soup pot of God energy where 7 billion parts of it are living in benevolence. If we pay attention to what the benevolence is saying to us and have patience while everything gets into position so that the highest good resounds with our desires we may obtain results that are more beneficial than our original request. For example; we have a global financial system that has been around for thousands of years keeping humanity impoverished. There are rich guys, and the poor guys are left struggling for basic survival needs. Many people have been trying to rectify this situation by exposing its corruption, especially in the last few decades. Right now we have the Muslims, the Jews and the Christians at the negotiating table on this subject. Who would have thought these three could communicate with each other! Another thing to be aware of is that on the other side of the veil there is no clock. Your concepts for life may require a lot of things and people to get lined up for them to actualize in this dimension. With all this extra energy involved you may create something way more beneficial than you originally thought. Synchronicity is a key. Remembrance of Your First Embodiment?